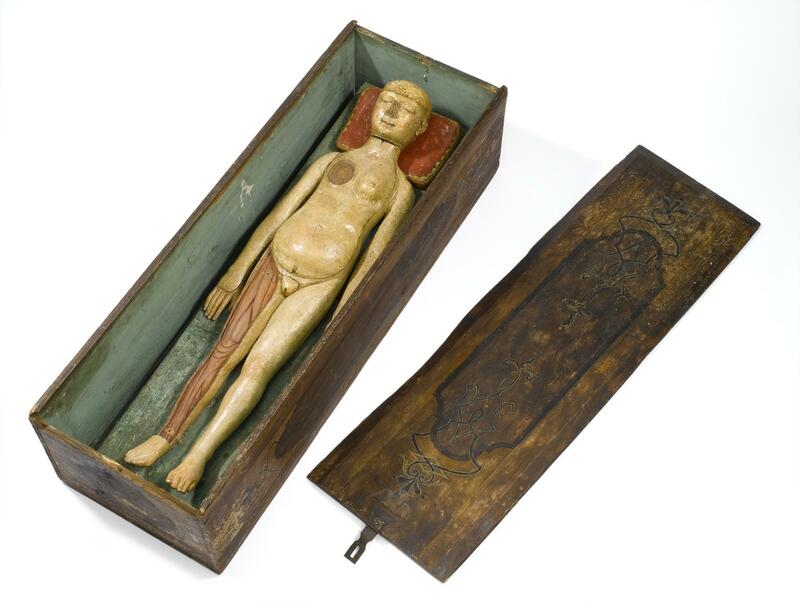 This wooden figure is unusual – many surviving anatomical figures from this period tend to be made of ivory. 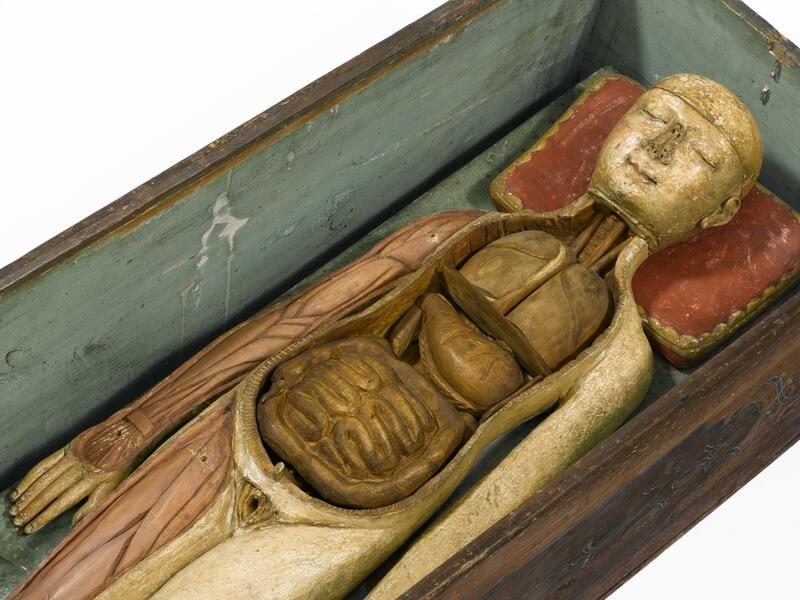 It is additionally notable as the model reveals not only the internal organs in the torso but also shows the brain in the skull and muscles in the leg. Female figures were also usually shown as pregnant. 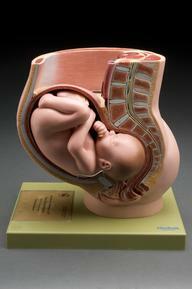 The level of anatomical detail is limited but gives a basic layout of the main organs. 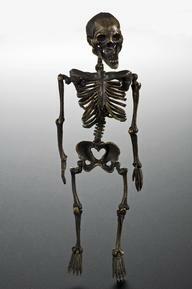 As such it is likely that the model was used to teach lay people about basic human anatomy. 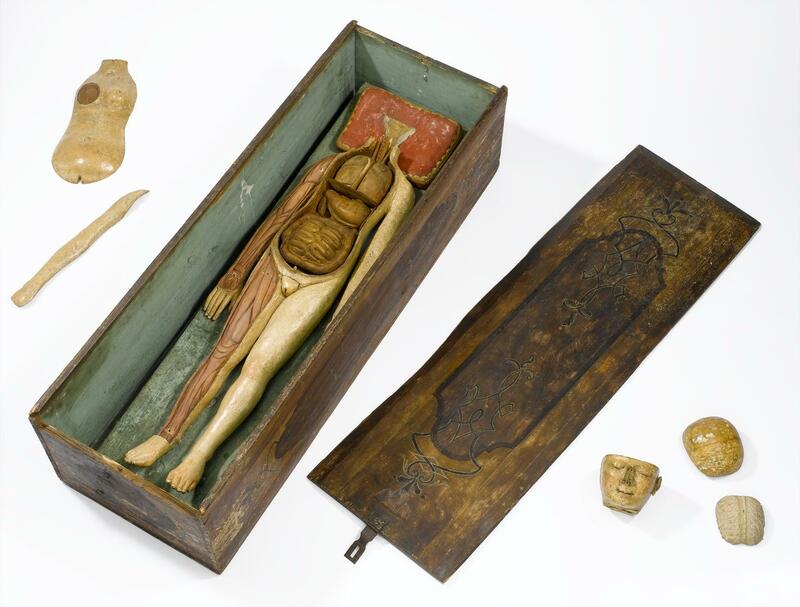 It may possibly have been used by midwives to provide reassurance for pregnant women and to teach young married couples about anatomy and pregnancy. Such figures were sometimes available as a male and female pair.